During a field test last year in the Atacama, Zoe followed directions from a science team in Pittsburgh and became the first robot to remotely detect life. But in a just-completed field test in the same desert, the driest place on Earth, Zoe outdid herself, finding life on her own at a spot she selected. 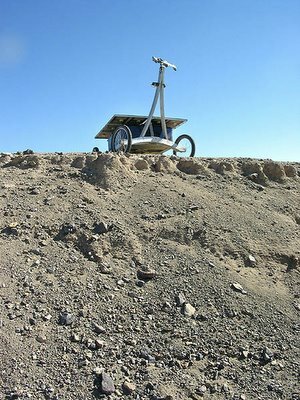 "This is really the next step in terms of exploration," said Nathalie A. Cabrol, a planetary scientist at NASA's Ames Research Center in Moffett Field, Calif., and lead scientist for the Life in the Atacama project. The Carnegie Mellon University robot showed that it not only could be a mobile platform for instruments, but can use its own rudimentary reasoning to make scientific discoveries. 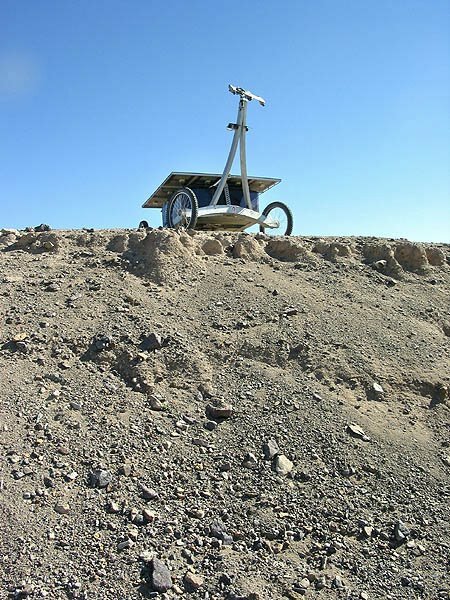 This latest field test, the third and final of the three-year project, also demonstrated Zoe's ability to navigate by herself for long distances without a map or human guidance, said David Wettergreen, the Atacama project leader and a researcher at Carnegie Mellon's Robotics Institute. No one is under the illusion that planetary explorers will find little green men; if life exists or existed on Mars, the assumption is that finding it will require a lot of looking and digging.